What’s the best way to cool the warming Earth? Alan Robock, professor of climate science in the department of environmental sciences at Rutgers University, looks into the possibilities. Dr. Alan Robock is a Distinguished Professor of climate science in the Department of Environmental Sciences at Rutgers University. He graduated from the University of Wisconsin, Madison, in 1970 with a B.A. in Meteorology, and from the Massachusetts Institute of Technology with an S.M. in 1974 and Ph.D. in 1977, both in Meteorology. Before graduate school, he served as a Peace Corps Volunteer in the Philippines. He was a professor at the University of Maryland, 1977-1997, and the State Climatologist of Maryland, 1991-1997, before coming to Rutgers. Prof. Robock has published 400 articles on his research in the area of climate change, including more than 240 peer-reviewed papers. His areas of expertise include geoengineering, climatic effects of nuclear war, effects of volcanic eruptions on climate, and soil moisture. 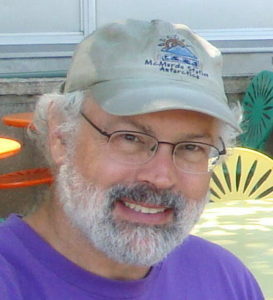 He serves as Editor of Reviews of Geophysics, the most highly-cited journal in the Earth Sciences. His honors include being a Fellow of the American Geophysical Union, the American Meteorological Society (AMS), and the American Association for the Advancement of Science, and a recipient of the AMS Jule Charney Award. He recently served as a member of the Board of Trustees of the University Corporation for Atmospheric Research, which operates the National Center for Atmospheric Research. Prof. Robock was a Lead Author of the 2013 Working Group 1 Fifth Assessment Report of the Intergovernmental Panel on Climate Change (awarded the Nobel Peace Prize in 2007). In 2017 the International Campaign to Abolish Nuclear Weapons was awarded the Nobel Peace Prize for “for its work to draw attention to the catastrophic humanitarian consequences of any use of nuclear weapons and for its groundbreaking efforts to achieve a treaty-based prohibition of such weapons” based on the work of Prof. Robock. We climate scientists are sure that global warming is a real threat to humanity. The mitigation pledges from the 2015 Paris Agreement, even with adaptation, will not be enough to prevent the worst climate impacts. Our choices are: to suffer, to boost mitigation, or to try a proposed, untested technology called geoengineering. Geoengineering is defined as “deliberate large-scale manipulation of the planetary environment to counteract anthropogenic climate change.” The term is applied to two quite distinct ideas. One is removing the primary cause of global warming, CO2, directly from the air and it is probably a good idea, if it could be done on a large scale and inexpensively. The other idea is reflecting sunlight to cool Earth. The most serious proposal is creating a cloud in the stratosphere to reflect sunlight back to space, mimicking the effects of large volcanic eruptions. We are working to study the potential benefits, risks, and concerns of such a scheme so that society, if tempted in the future to implement it, will be able to make an informed policy decision. If it worked, it could reduce some warming, and many of its impacts. But potential risks and concerns include drought in Africa and Asia, ozone depletion, societal disruption and conflict among countries over the optimal climate, and military use of the technology. Will there be breakthroughs that produce a safe system, or will these problems be insurmountable? If reflecting sunlight cannot be guaranteed to be safe and governable, we need to know soon, so society can work harder to stop using the atmosphere as a sewer for our carbon dioxide, and move quickly to an electric future powered by the wind and Sun.